Hanuman's Devotion Incense from the Shrinivas Sugandhalaya factory, part of the Satya Religious range. 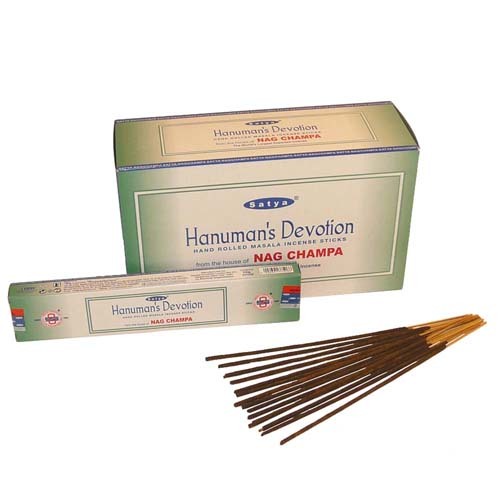 Satya's Nag Champa Collection is the most famous brand of incense in the world by far, with fans all over the world. Don't miss the chance to try this brand new fragrance! This incense is traditionally made; hand rolled in the high quality oils so each sticks can vary slightly in its thickness. Each pack weighs 15g and therefore the number of incense sticks may vary. Available in boxes of 12 packs.